Same gila, different rocks. 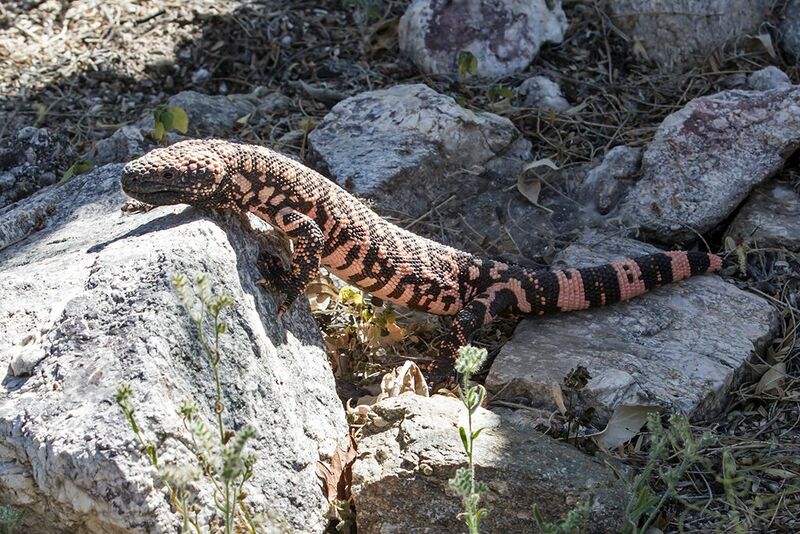 Gila Monsters spent the vast majority of their life underground; they are out now to eat bird eggs and young hatchlings. 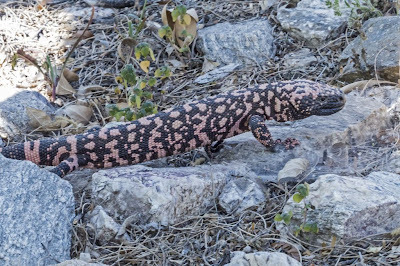 Unlike most other lizards, Gila Monsters can't drop their tail to escape predators; they store fat in their tail for their months underground.